The latest pop-up bar will encompass the holidays AND pandas. WASHINGTON -- It’s D.C.’s two favorite things (or maybe most talked about?) in one: A pop-up bar and pandas. 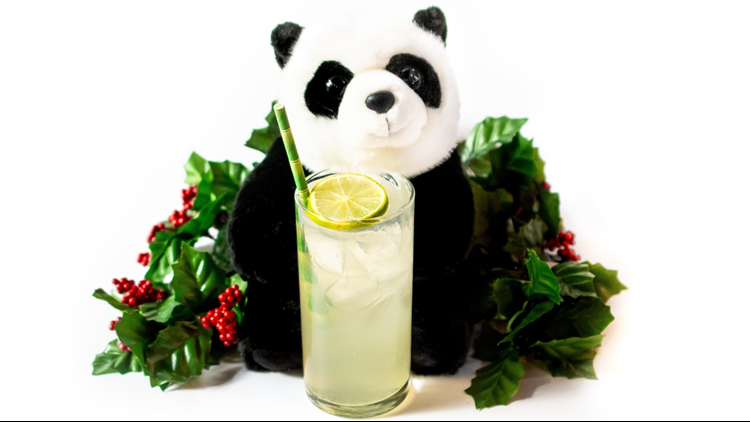 Miracle on 7th Street, Drink Company’s annual holiday-themed pop-up bar is making a comeback for its fourth year in a row, and this year they’ve partnered with the Smithsonian National Zoo to bring, wait for it, pandas! According to the bar’s website, there will be panda statues, panda mugs, a panda mural and “more adorable panda moments” – which we can only hope means Bei-Bei will make an appearance. That won’t be all: Visitors can expect a ton of Instagrammable-locations, such as a New Year’s Eve ball, a jingle-bell canopy and can get cozy in the mistletoe photo booth. There were also be a Hanukkah mural. Naturally, the cocktails, which range in price from $9-$14 are themed, such as the bamboo shot, for anyone who has a little bit of panda in them. You can also get a Hebrew Hammer or the A John Cena Christmas. Pro-tip: Order the Santa Bei Bei for a panda mug. Drink Company, which has put on the Miracle on 7th Street pop-up as well as others, such as the Game of Thrones pop-up, has had an eventful year. In April, they launched a short Royal Wedding-themed bar to capture Royal Wedding-mania ahead of Meghan Markle’s vows with Prince Harry, but ran into trouble over the summer when Turner Broadcasting threatened legal action against their Rick and Morty-themed bar. Instead of battling it out, the bar changed their pop-up theme. Miracle on 7th Street opens on November 23 and will run through December 31. There will be ticketed entry on December 23 as well as on New Year’s Eve. The bar is located at 1839 7th Street, Northwest.